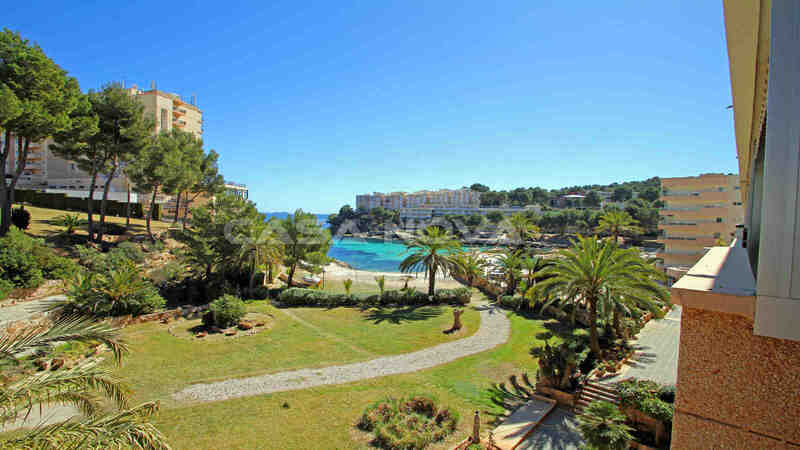 Real Estate Mallorca: This beautiful apartment Mallorca with communal pool and sea views is located in 1. sea line in Cala Vinyes, in the southwest of Mallorca. The apartment is going to be reformed and will be finished February 2018. 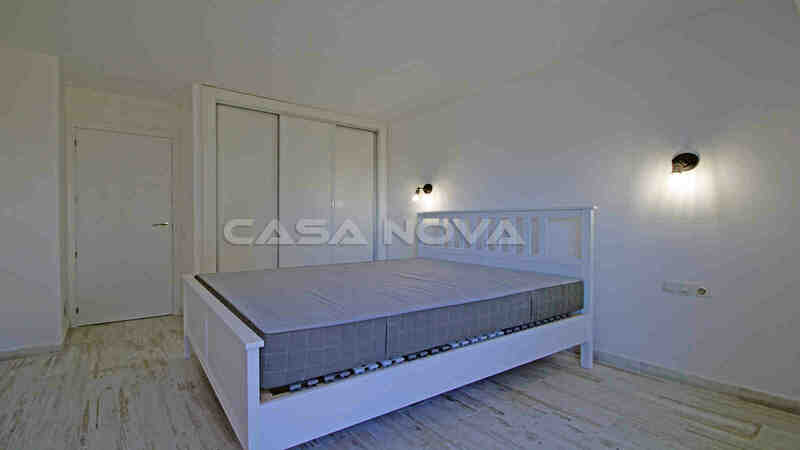 The great property offers a living area of approx. 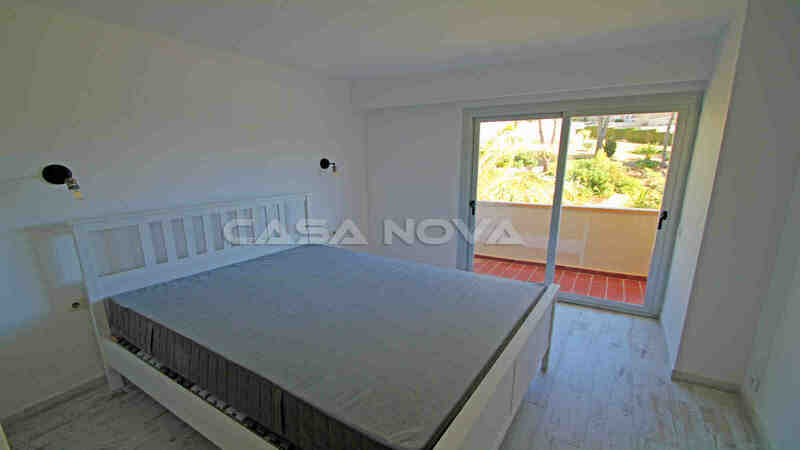 60 m2, which is divided as follows: a sunny living / dining room with access to a wonderful terrace with sea views, an open kitchen, 2 bedrooms with a built-in wardrobe, and a bathroom equipped with bathtub. 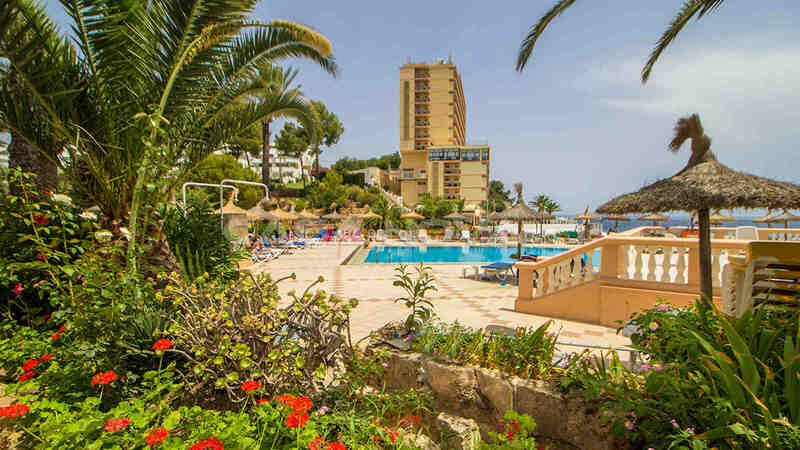 The fantastic residential complex has a large inviting pool with sun terraces and Mediterranean garden where you can enjoy the wonderful days on Mallorca. 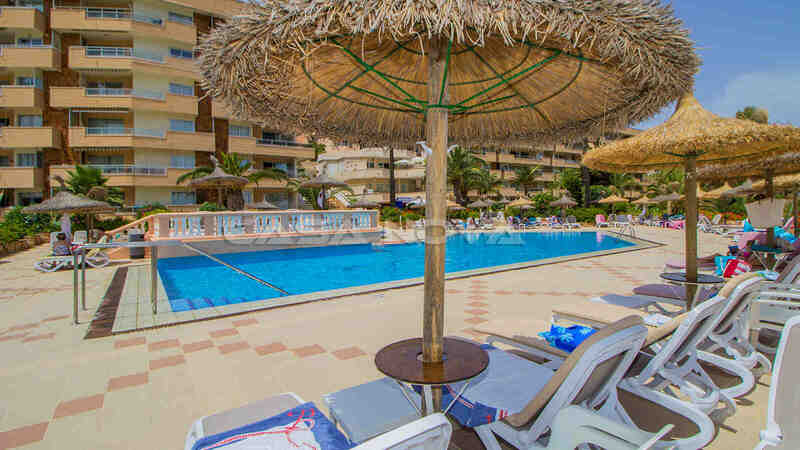 The apartment is located on the 5th floor and the building is equipped with an elevator. 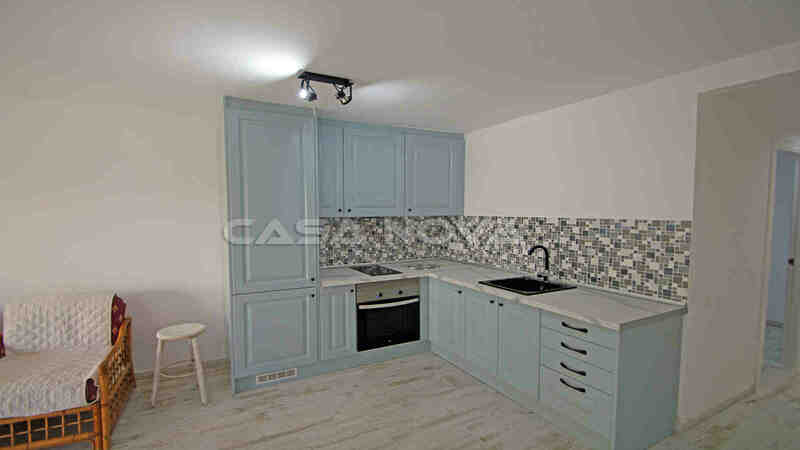 The property has tiled floors, wooden windows and fitted wardrobes. The beautiful beach can be reached on foot. 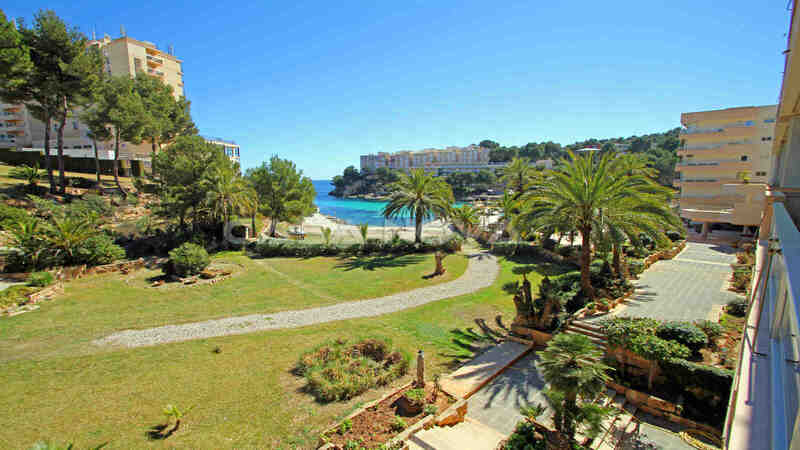 Cala Vinyas lies in the south-west of Mallorca, in the middle of pine woods and disposes of small bath bays and quiet paths. 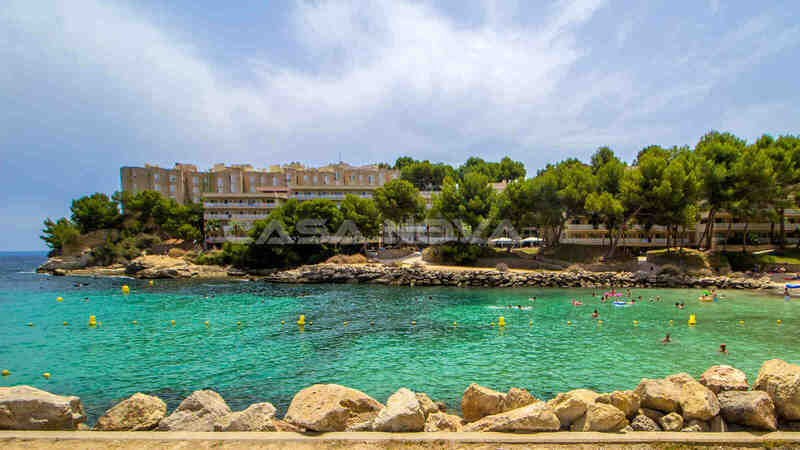 The complete infrastructure of the southwest and the nearness to different golf courses and yacht harbors, is the reason why Cala Vinyes is one of the most popular places in Calvia. Many restaurants, bars and shopping possibilities, as well as the good binding to the traffic make this location so interesting. 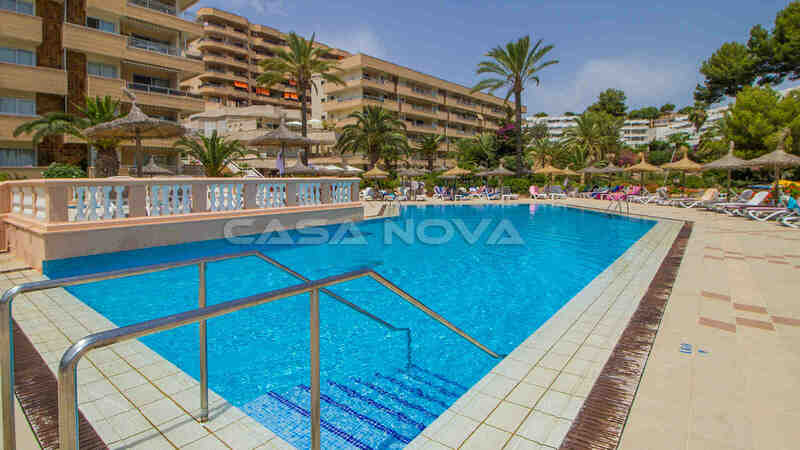 If you wish more information, please contact the team of Casa Nova Properties, your estate agent Mallorca! 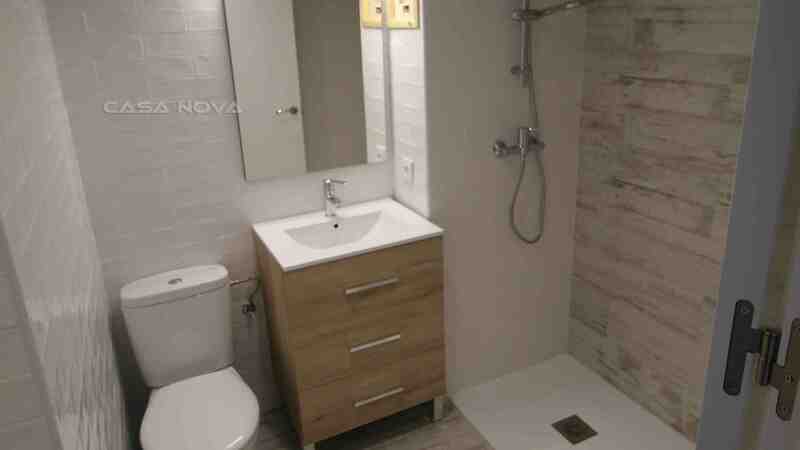 For the buyer originates no agency fee!